Dr. Jody Miller has been selected as an American Society of Criminology (ASC) Fellow 2014. The title of “Fellow” is given to those members of the Society in good standing who have achieved distinction in criminology. The honorary title “Fellow” recognizes persons who have made a scholarly contribution to the intellectual life of the discipline, whether in the form of a singular, major piece of scholarship or cumulative scholarly contributions. Longevity alone is not sufficient. In addition, a Fellow must have made a significant contribution to the field through the career development of other criminologists and/or through organizational activities within the ASC. 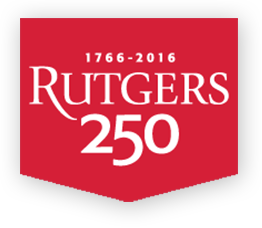 Dr. Jody Miller has been with Rutgers University since 2010. Her primary research examines how inequalities of gender, race, and class shape young women’s participation in crime and risks for victimization. To learn more about her work click here.